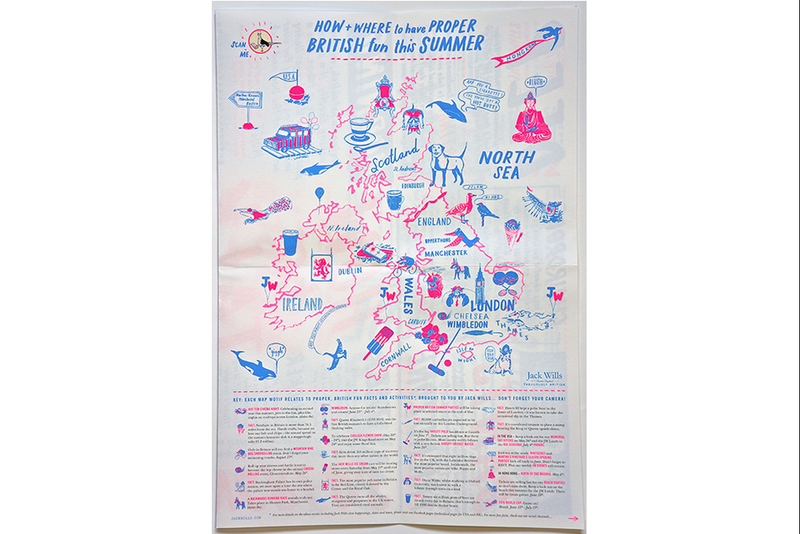 A souvenir poster for Jack Wills, distributed to customers as part of the brand's 'Proper British Summer' campaign. 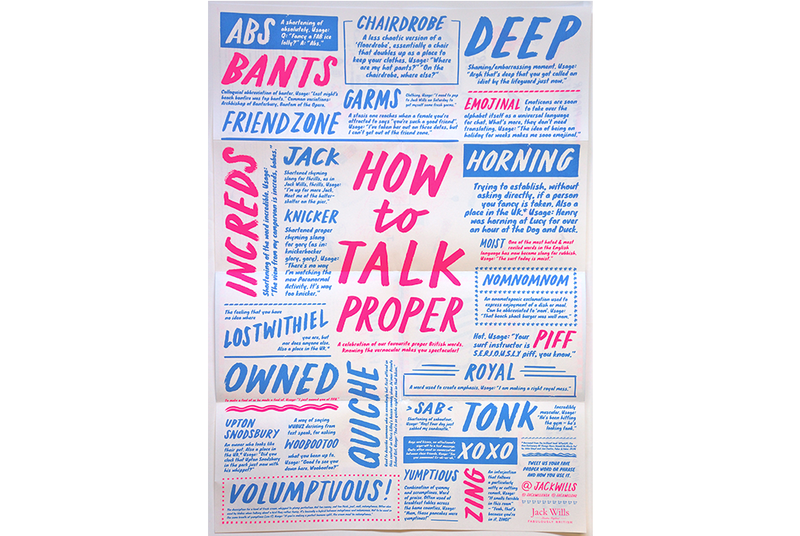 Features product edit for high summer, 'How To Talk Proper', a glossary of British slang words and their meanings, plus a beautiful map of the UK drawn by regular Pencil collaborator Emily Robertson, with a guide to the summer. Aurasma adds an interactive layer to help digitise the print experience in an engaging way. Neon pink and bright blue colours used throughout the poster to create ridiculously bright and breezy read for customers to pin up on their walls.